With respect to intensity, electro Sun's music cannot be topped. Somehow like the sensation you get from a strong drug during the first milliseconds of its impact. 'The Gravity Dissappears and Causes a Mess' (Gravity). What follows is a jouney through the nerve cells into the bowels of one's own psyche and from there into outer space. Surrounded by streched, broad, floating and breathing sounds; supported by Pia Burnette's brilliant voice. 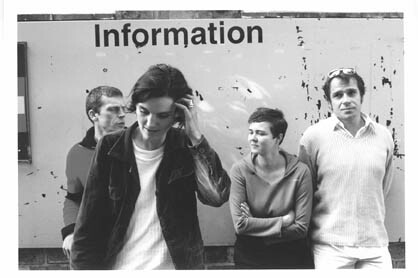 electro Sun is a band from Hamburg, Germany, where it was formed in 1999. 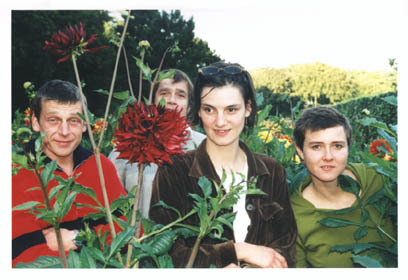 In the early 90s, Kathrin Kuhrau(organ) and Pia Burnette already played together as the Mausi Sisters. Doublebass-player Thomas Jung is also part of Stau (Fidel Bastro).